Food Glorious Food: A Second Helping. Give two reasons why most people don’t eat traditional breakfast nowadays. 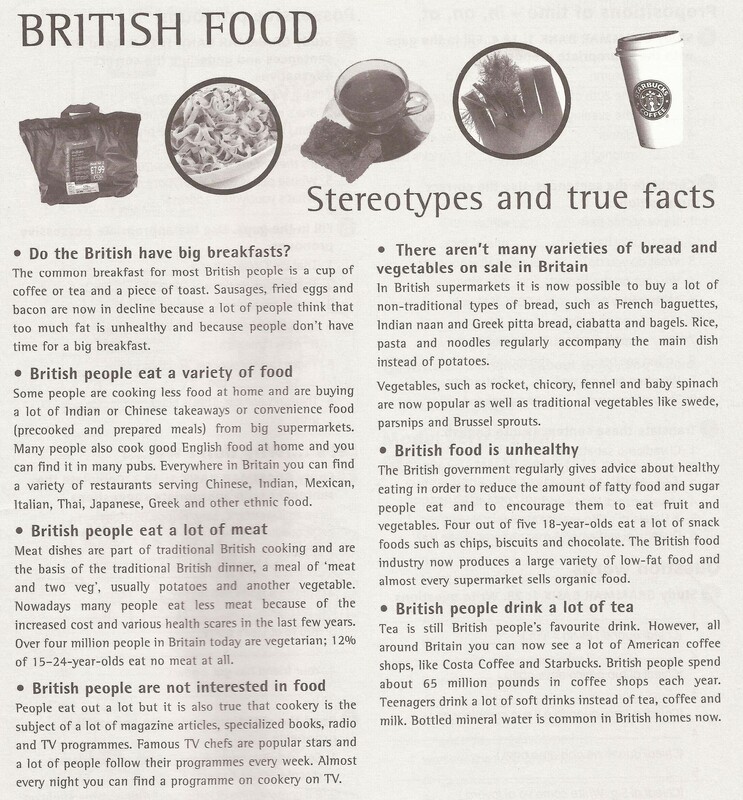 Name some kinds of food you can eat in Britain today. How many vegetarians are there in Britain? Name some types of bread you can find in British supermarkets. Explain how young people’s diets are bad. Name two American coffee shop chains. My first days at work – Past Simple regular and irregular. Complete the paragraphs using the past simple form of the verbs below. I remember my first day working at the restaurant in 2009. I _________________ at 7:30, but I __________________ my shift until 8:00. I __________________ from 8:00 to 1:00 and then I _________________ my lunch break. My new colleagues __________________ me a lot even on my first day. It _________________ a great start to my career. However, the head chef ________________horrible to me on the second. He __________________ me work very hard. I _________________ plates, _________________ the floors, and I _________________ anything. I _________________ a terrible day. 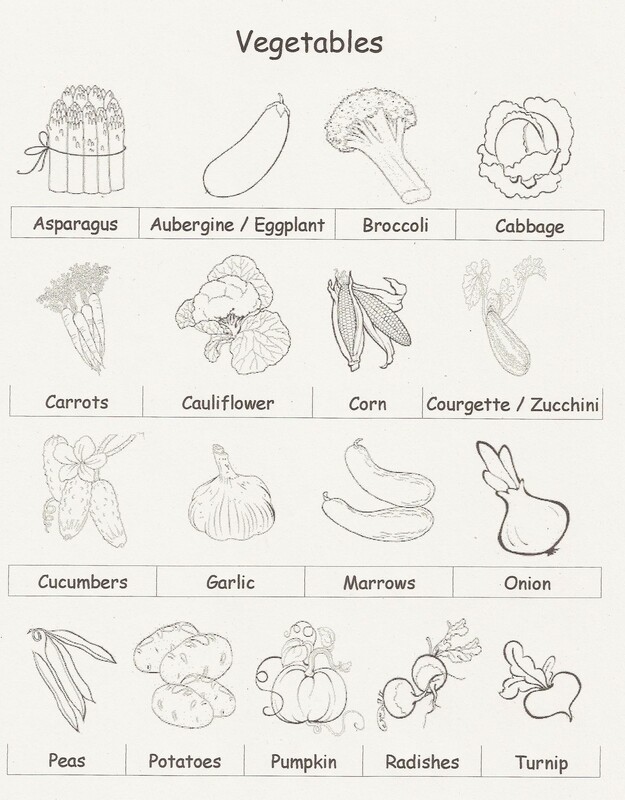 My first days at work – Worksheet. My first days at work – Worksheet Answers. 1. A: Do you like the Sushi? B: I don’t know. I _____________________________ (not / eat) it. 2. My best friend and I _____________________________ (know) each other for over five years. We still get together once a week. 3. Stefan is a fantastic chef. He _____________________________ (work) here for ten years. 4. The bar _____________________________ (not / be) this busy in ages. 5. _______________ you ever ___________ (worked) in an elegant restaurant? Yes, I _____________________ (work) in two or three. 6. How sad! George is twenty and he _____________________________ (not / drink) a glass of beer. 7. Anna, I can’t believe how much pasta you _____________________________ (make)! We will never eat all that! 8. 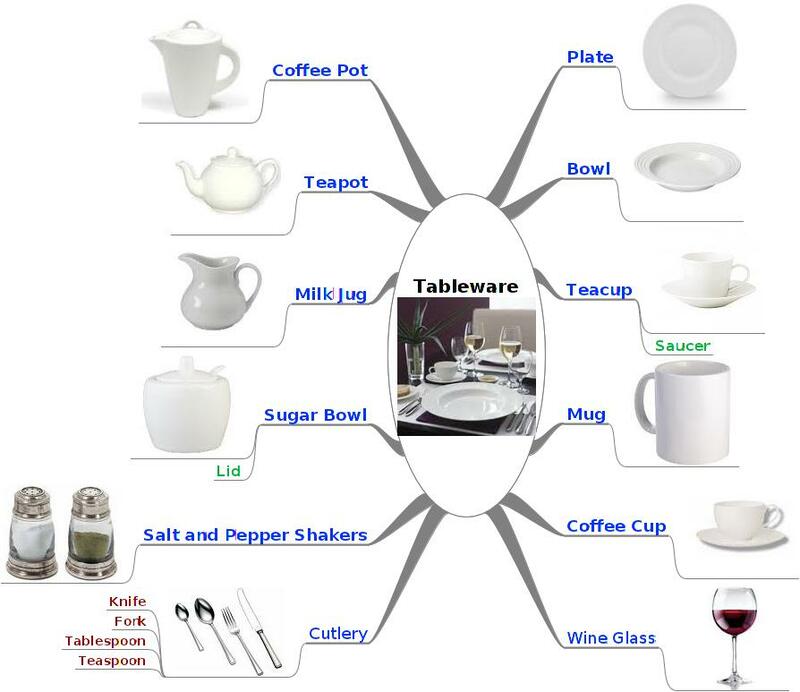 How many dishes __________________ Daniel _______________ (prepare) for that table? 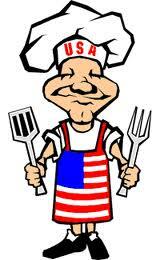 I think he ____________________ (grill) two steaks and ______________ (make) four sandwiches. 1. John ______________________ (serve) the tables at the moment. 2. What _____________ you ______________ (cook)? It smells wonderful. 3. __________ Zara _______________ (work) the afternoon shift tomorrow? 4. The bar __________________ (not /close) yet. You can order another drink? 5. Why ____________ they __________________ (not / talk) to each other? 6. We ____________________ (share) this dish. So, can we have another plate, please? 7. I ____________________ (not / eat) that. You can take it away. 8. Chris and Helen ____________________ (spend) a week working together. 9. I ____________________ (learn) a lot of new things his year. 10. What __________ you _______________ (do) later? 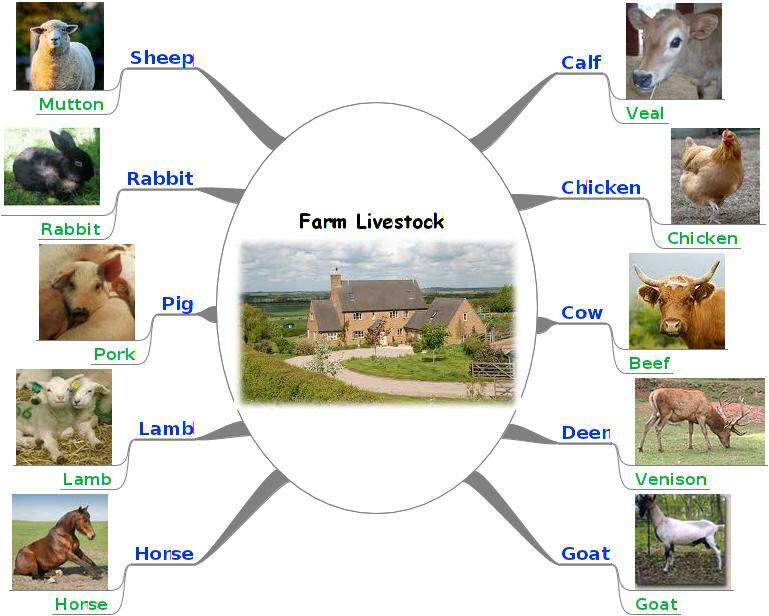 Farm Livestock Mind Map JPEG. 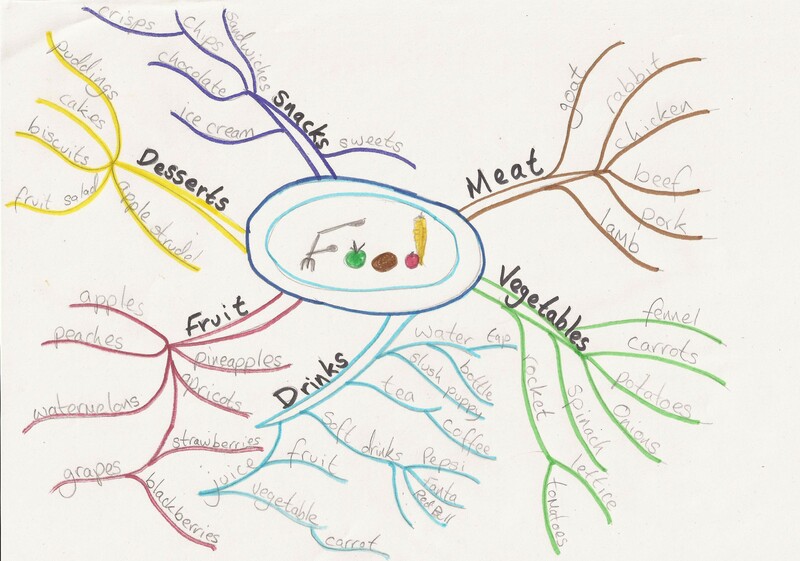 Farm Livestock Mind Map .mm File. Complete the sentences with the words given below. 1. Try this drink. It’s my own ____________________. 2. What kind of beer do you have on ____________________? 4. I’m not really____________________ how to make that drink. 5. 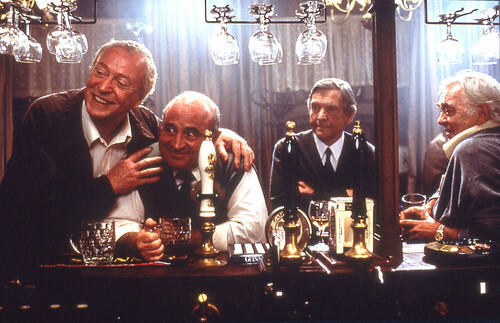 When the bartender says “Last ____________________!”, it means that it’s the last chance for customers to order drinks before the bar closes. 6. I’m warning you. This drink is really ____________________! 7. It’s two ____________________ orange juice and one____________________vodka. 8. I’m sorry but I can’t ____________________ you because you’re drunk. 9. I’ve broken five ____________________ today. 10. What can I ____________________ you? What would you like? 1. This drink has two ____________________ (shots/drops) of espresso. It’s very strong. 2. The milk in on the little table at the end of the _________________________ (counter/floor). 4. If someone is lactose-_____________________(intolerant/introspective) it means that they can’t drink milk. 5. This is the smallest_____________________ (size/dimension) cup we have. 6. Starbucks is an example of a ____________________(chain/keychain). It is a cafè which has multiple locations. 7. Your coffee will be in a ready in a ____________________ (couple/few) of minutes. I’ll call you. 8. An Americano is a shot of espresso _______________(poured/placed) into a glass of hot water. 9. Our muffins are ____________________(baked/cooked) fresh every morning. 10. All of our coffees are made from high-___________________(worth/quality) beans. 11. Make sure you grind the coffee beans just before you ______________________ (make/do) the coffee. 12. Milk foam is commonly referred to as _____________________(froth/freight). 13. Our most _____________________ (populist/popular) coffee is espresso. 14. All the tables inside are occupied, but our outside ______________________ (patio/zone) has plenty of free tables.